From in Adolf Neubaeur's "Where are the Ten Tribes? II Eldad the Danite" in JQR (1889) v. 1:2. The reference is to the entry on Eldad the Danite by Christian David Ginsburg here (his entries in Kitto's Cyclopaedia are signed C.D.G.). The background concerns the legend of Eldad ha-dani (whom I was charmingly introduced to in cartoon form as a little kid in the first edition of the Jewish Kids Catalog). Neubaeur snarks that Ginsburg (who was really disliked by fellow Jewish scholars for his apostasy and pomposity) credulously regards Eldad's tale and travels as true. Of course he does not. However, he does not feel it is necessary to add things like "Eldad claimed" or some kind of disclaimer that, of course, he does not believe it to be anything more than a legend! So a straightforward reading of his piece gives the impression that he is recounting facts. One assumes this is because C.D.G. gave credit to his readers to be able to read an account of a medieval legend without having to be specifically told that it's fiction! In fact, at the end of the Cyclopaedia entry he writes: "Whatever we may think of his lucubrations on the ten tribes, be it remembred that the greatest Jewish writers of his time and afterwards implicitly believed these stories and others far more marvellous about their lost brethren. Graetz, is, therefore, too severe upon Eldad." Finally, the reference to Shapira's Deuteronomy concerns the Shapira strips (also posted about here,here and here). Ginsburg played a role in recognizing them as forgeries (some would say, highly, vastly, bloatingly overstated role; the cartoon reproduced below is . . . cartoonish). In any case, Ginsburg seems to have viewed it at least as potentially authentic and published the text of it and encouraged buzz, seemingly in an effort to promote himself. Neubaeur was opposing the authenticity of it from the start (see this article by him dated August 13, 1883). Take note of how it begins "From the very outset, when I did not as yet know a word of the contents of Mr. Shapira's Moabite Deuteronomy . . . I held it to be a forgery." Truly, he was right, but he might have wanted to see it before holding it to be a forgery! Given the Sambatyon-Akdamus connection, I suppose this is a Shavuos post. Here's a bit of negativity from Moses Marcus, a grandson of the famous Glikl of Hameln. Read about R. Nieto's troubles with accusations of Spinozism, and his acquital by Chacham Tzvi here. "A description, not a censure of Hebrew music." What did a synagogue service sound like to an observer in 1775? In Amsterdam; from Charles Burney's Present State of Music in Germany, the Netherlands, and United Provinces: Or, the Journal of a Tour Through Those Countries, Undertaken to Collect Materials for a General History of Music. Although Burney can't bring himself to fully commit to his goal of neutral observation, the attitude that he thinks he has taken, namely to describe and not judge, is actually quite modern. This transcription is preceded by a short discussion on modern Jewish music, with an interesting anecdote. What does a Chinese chumash look like? 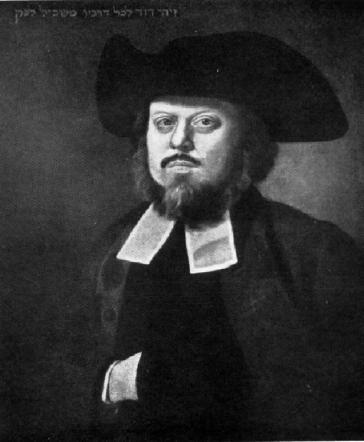 Relating to the Kennicott post below, Europeans had known of the existence of Jews in China since the 16th century, when an Italian monk named Matteo Ricci, in China, received a visitor. This visitor had heard that a man from far away was in town, and from a description it appeared that he was monotheistic. Perhaps something about the man's relationship with the Bible reached his ears too, so thinking he was a fellow Jew he went to meet him. For his part, Ricci figured that the visitor was Muslim. After some time it became clear that the man was a Jew and, to the visitor, that Ricci was not. They probably had a good laugh. In any case, from this point on Europeans were aware of contemporary Chinese Jews. Their origin, customs and knowledge of Jews and Judaism is interesting, but should wait for another time (except to generally mention that Chinese Jews seem to have their origin in Persia). What is important is that Europeans assumed that the Chinese Jews, like all Jews, had Bible manuscripts. 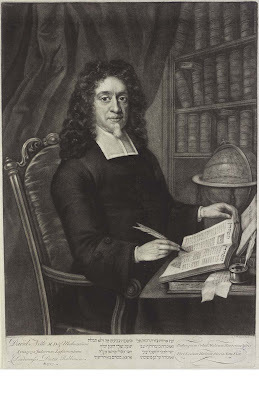 This became particularly important in the 18th century, when great research projects probing exact text of the Hebrew Bible, based in large part on manuscripts, were attempted. It was believed that the Chinese manuscripts were most likely the least corrupted from outside influence due to the remoteness of the Chinese Jews. It was thought essential to track down and see these Chinese Bible manuscripts. 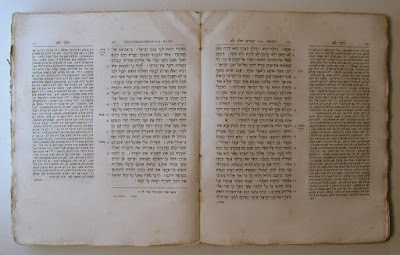 From the rare volume Fac-Similes of the Hebrew Manuscripts, obtained at the Jewish Synagogue in K'ae-Fung-Foo, Shanghai 1851. Printed with wood blocks on rice paper! The geographical factor and the influence of imitation of other scripts. The Jewish script, and later the Hebrew script, evolved many styles due to contact with foreign scripts. Already before the dispersion of the Jews throughout the world, the Jewish script came into contact with the Greek and Latin scripts as well as the Nabatean script. In later times many new script-styles evolved among the Jewish communities in the different countries, with the influence of the foreign scripts as well as the use of different writing implements and materials. The changes in the letter-forms were sometimes due to deliberate imitation and they sometimes occurred unintentionally, mainly because the continual use of foreign scripts together with the Hebrew script occasionally caused changes in the hand-movement of bilingual scribes. Thus the Hebrew scripts in the Islamic countries show affinities with the Arabic script while the Hebrew scripts in Christian Europe show affinities with the Latin script-styles used in the different countries. And I would add, the Hebrew script[s?] in China show affinities with the Chinese writing. The script used in the 14th century Munich manuscript of the entire Talmud obviously show a similarity to the kind of script used in the German lands of the period, or at least it is obvious that it was produced not in Spain, but in Germany! Here; the 1546 Constantinople edition which features the Arabic taphsir of Rav Saadya, a Persian translation, as well as Rashi (and Aramaic, via Onqelos). I assume this notable edition will be followed at the JNUL digital book repository with the second polyglot, the 1547 edition with Greek and Ladino. A more pleasing episode of external relations during Tevele Schiff's Rabbinate was collaboration with the Oxford scholar, Dr. Kennicott, while he was engaged in his great work on the text of the Hebrew Bible. There are extant the letters of recommendation to Jewish scholars abroad which he received in 1770 from the two senior London communities, the Great Synagogue's being signed by the Rosh haKahal Aaron Franks and the Warden Aaron Goldsmid, as well as by the Rabbi himself. Getting back to the subject of this post, Kennicott believed that the text of the Hebrew Bible contained mistakes, but none of those mistakes were critical to matters of (Christian) faith. However, naturally more conservative scholars were not as sure that his formula was sustainable, and rejected the implication that the text contained errors at all. One such critic, an anonymous French abbe, voiced his views in a pamphlet sharply critical of Kennicott's State of the Printed Hebrew Text of the Old Testament Considered. It was translated from French to English as the Letters of mr. the abbot of *** ex Professor of the Hebrew Language, in the University of *** to Mr. Kennicott. However, he goes on to say that he would have thought Kennicott's work simply useless, however it is actually insidious, since Kennicott also treats a verse crucial to the faith, Psalm 16.10 (לֹא תִתֵּן חסידיך לִרְאוֹת שָׁחַת is taken as referring to Jesus, "the sole and peculiar object of this psalm," according to the abbe). On pg. 107 of Kennicott (second volume) we find the point that חסידיך is the כתיב while חֲסִידְךָ is the קרי. The former should be plural, as if to say "thy saints," rather than the singular "thy saint, ie, Jesus." This is troubling as this verse is cited by Peter and Paul as referring to Jesus. If so, how could the real Bible text read חסידיך? In other words, an examination of many manuscripts show that the singular reading is correct. The apostles, vindicated! He saw Kennicott claim that nothing in his text critical project concerned matter of faith, only mere details, and then a few pages later he places it all on the line with a mere י! Have no fear, seems to be Kennicott's view, the manuscripts vindicate the faithful reading. But would he really place it at the mercy of a iod?! The same thing with the other דויד in Amos. Furthermore, the problematic דויד in Hosea is written דוד in the same Venice edition. The critic notes the absurdity of this. First of all, of looking for the Bible to support your reading, and secondly for accepting Mafforetical circles when they are convenient. But, hold on! In the same Venice Bible there is a קרי וכתיב circle at חסידיך in Psalm 16.10, that is, read it without the י, which vindicates the Christian reading. Why didn't Kennicott call attention to it? Instead, he counted manuscripts, a happy discovery. In short, his intention is to artificially increase the value of his manuscripts, by showing a large problem and solving it with his manuscripts alone. This continues for pages. I heartily recommend printing it to read during chazaras hashatz. You never know when you'll come across something interesting. One of Artscroll's many useful translations is a two-volume book called The Weekly Midrash, subtitled "Tz'enah ur'enah the classic anthology of Torah lore and Midrashic commentary." A good overview of the צאינה וראינה can be read here, or in the introduction to the English volume under discussion. In any case, I tried to find the edition of the Biur deceptively (or mischievously) called צאינה וראינה, and I came up with nothing. In fact, there was a Mendelssohnian Bible printed in Basle in 1822 (2 volumes, printed by Wilhelm Haas, edited by Schlaume Kasselberg). But it was not called צאינה וראינה. It was called חמשה חומשי תורה כאשר ניתנה למשה מפי הגבורה. Maybe the title page of the second volume read צאינה וראינה? In any case, I am unable to locate a reference to *any* edition of the Mendelssohn chumash or Bible with that title, even one besides the 1822 Basle edition. I realize that the excerpt actually says that the words צאינה וראינה were embossed on the outer cover; taken literally, I am not looking for such a Bible called צאינה וראינה in catalogs. I am looking for the cover, which I do not have access to at the moment, or any time soon. That said, it seems highly improbable that the book truly rolled off the presses and was shipped with the non-sequitur צאינה וראינה on the cover. As cute and devious as that would be, the publishing house of Wilhelm Haas was trying to sell deluxe new Biurs, and this could not be accomplished by fooling innocent eastern European Jews into thinking they were buying a homey Yiddish Woman's Bible. (For actual quasi-deceptive efforts to spread the Biur Chumash in the east, wait for a future post.) On the other hand, either the translator of the Artscroll work saw such a copy herself, or read of it somewhere. Barring the possibility that her source simply made it up, I wonder if the source for this assertion lies in a single copy of this Bible, somewhere, which someone did emboss, probably mischievously, with צאינה וראינה on the cover. As we know, to this day it is common practice (at least in the Orthodox community) to emboss names onto the cover of books. If this is the case, than all we are talking about is a single copy of the Bible, or just a few. On the other hand, maybe I am wrong and what she was talking about did not turn up in my, admittedly inexhaustive, research for this post. However, also bear in mind that at a much later date there were several new German titles (for German Jews, not eastern Europeans) with that name. 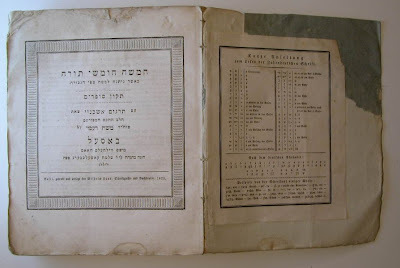 See this one by Emanuel Hecht subtitled der Pentateuch in lehrreichen und erbaulichen, and printed in 1862. Or the Tsenerene by David Schweitzer (1861), which openly spoke of the original version as "unsuitable and even obscene." "and now, since you are the father of writing, your affection for it has made you describe its effects as the opposite of what they really are. In fact, it will introduce forgetfulness into the soul of those who will learn it: they will not practice using their memory because they will put their trust in writing, which is external characters and depends on signs that belong to others, instead of trying to remember from the inside, completely on their own. You have not discovered a potion for remembering, but for reminding; you provide your students with the appearance of wisdom, not with its reality. Your invention will enable them to hear many things without being properly taught, and they will imagine that they have come to know much while for the most part they will know nothing. And they will be difficult to get along with, since they will merely appear to be wise instead of really being so." For starters, there is the matter of access. 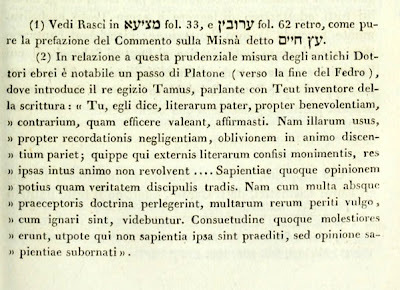 It would have been no small thing to pull out a copy of a slim Italian volume on Hebrew printed only one time, in 1836. Now, instead of visiting a research library, I simply downloaded it, made a little image and posted it. Furthermore, I don't really know Italian, so I used Rubin's translation of the little bit before Shadal's Latin quote. Next, I had never read Phaedrus before. In fact, I didn't even know there was a bit about the invention of writing in it. Even though I only learned of it from Shadal's quote (he knew Phaedrus) I could have pretended to greater erudition by either leaving him out of the picture, or simply not admitting that I hadn't read it. Then, I could have only posted the translation of the Latin which Rubin quoted (it's not his own translation). Or, I could have made my own translation using any of a dozen ones I could have found online. I could have posted the Greek original and made it seem as though I translated it. I chose to post an English translation from 1792, getting back to my original point about access. In short, this post took about five minutes, required nothing more than my having taken Luzzatto's point (relating it to תשבע"פ) as interesting and provocative, and I could have done it in such a way that really showed me to be more broadly learned than I am. This is not exactly the same as book-learning vs memory and internalization, but I think there is a parallel. Today, it's easy to be a faker or "concordance scholar", as Saul Lieberman mockingly called it. In line with my principle that you never know when and where you'll come across something quite interesting, below is a review* from 1784 of the famous Liber Tramitum Pacis. What, not famous? I meant the famous ספר נתיבות שלום והוא חיבור כולל המשת הומשי התורה עם תיקון סופרים ותרגום אשכנזי ובאור, ie, Moses Mendelssohn's Bi'ur. As you can see, the review is in fact a review of the introduction to the Bi'ur, the אור לנתיבה. It's a factual recounting of what the contents are about, with merely one line critical of its essentially traditionalist approach: "Mr. M. repeats some assertions long since supposed to have been confuted [by modern Bible scholarship]." I must confess that I can't quite figure out one thing: was the introduction in front of him the familiar Hebrew version, or was it some sort of Latin translation that I am unaware of? As you can see, when he cites in he does so in Latin. Although this is confusing to me, perhaps the simple explanation is that the reviewer translated it into Latin himself for the quotation. Not wishing to quote Hebrew for readers who may not have understood it, but still wishing to set the text apart in a scholarly language other than the vernacular, Latin would serve well for an audience which would certainly understand it. It may have been something so simple as the publisher not possessing a good case of Hebrew fonts. They don't make Hevra Kadishah guidebooks like they used to. Amsterdam, 1810. cf, They don't make tombstones like they used to. In response to this post I received an email from a descendant of Arnold Ehrlich. She felt the post contained information which wasn't true, and she understandably wanted to correct the record regarding her distinguished ancestor. I offered to allow her to correct the record, as she sees it, and would post it. Furthermore, I told her I would post her email to me if she wanted me to. Since I never heard back, I won't do that. However, I see that Ehrlich's Wikipedia entry is now greatly expanded, and I believe it is due to her efforts. So, if you want much more detailed and specific information about Arnold B. Ehrlich, have a look at http://en.wikipedia.org/wiki/Arnold_Ehrlich! Somehow its jarring to read this in English (or Englifh). 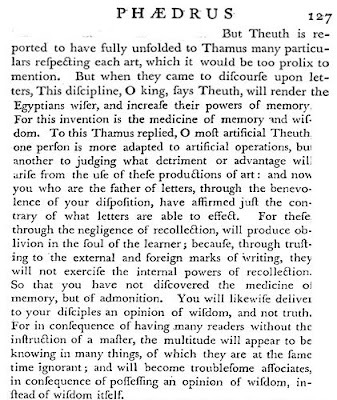 From Clement Barksdale's 1665 summary of many of the main arguments of Buxtorf's Tiberias, titled Masora. A collection out of the learned Master Joannes Buxtorfius's Commentarius Masorethicus. What does אי"ה stand for? I wonder if anyone has an Artscroll semicha?